Smith and Nephew Allevyn Heel Wound Dressing from HealthyKin.com has been designed for a superior anatomical and comfortable fit to enhance management of wounds on the heel. The result is the formation of a wound environment, which allows healing to progress without the need for frequent dressing changes. Allevyn Heel creates and maintains a moist wound healing environment at the wound surface, helping prevent eschar formation. Allevyn Heel dressing is designed to gently fit around the back of the foot allowing the wound to be dressed creating a moist wound healing environment. 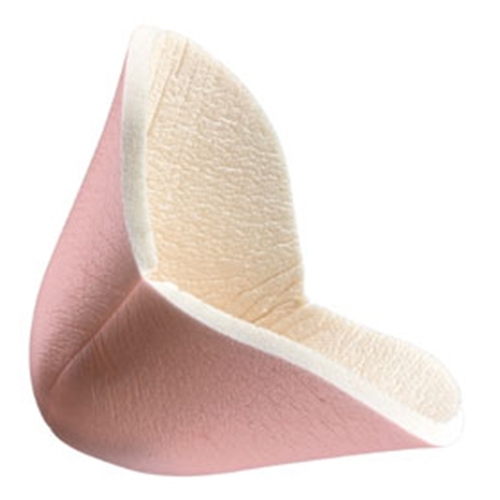 Allevyn Heel dressings are soft and cushioning, giving excellent patient comfort. Allevyn Heel absorbs and retains exudate, bacteria and cellular debris, providing clean, mess free dressing changes. The best secondary dressing for DFU on heels. Good price and fast delivery. Great product and the order came in just a few days and cost less than buying it locally! Thank you. Cushion is extra absorbent and soft to wear as one is walking on serve ulcerated heals. It covers the entire heel which allows healing to occur quicker. Product is a little expensive and there are just five in a box. Even number seems logical. It would be great if it could be purchased in a medical store as well as on line. Thank you.